If you have CMT and have found this section of our website, then like most of our patients, you most likely have already researched and learned quite a bit about CMT Disease. For information on how orthotic management can improve your functional walking, you’ve come to the right place. CMT is a major focus for our practice at Cornell O&P. Ken Cornell CO has been a researcher/presenter for Orthotic management of Charcot Marie Tooth Disease for over 20 years. He is the attending orthotist at the CMTA center of excellence in Boston. In that time, we have we have discovered many effective strategies for managing the unique issues for our CMT patients. CMT is officially termed HMSN, (Hereditary Motor Sensory Neuropathy) and there have been over 90 subtypes identified so far. A great place to learn more about specifics of the various types is The CMTA website https://www.cmtausa.org/understanding-cmt/types-and-causes . If you don’t know your specific subtype and want to learn more, the CMTA has established 20 Centers of Excellence around the country, including one here in Boston MGH. No matter which type you have, all patients with CMT undergo a very specific sequence of motor loss which creates the unique weaknesses and muscle imbalances that in turn create the deformities classic to CMT. Sensory deficits are most always glove and stocking and eventually affect balance. WEAKNESS: CMT is a progressive disorder, and weakness typically beings with an audible foot slap which progresses into a foot drop where patients begin tripping over their toes. Eventually, patient lose the ability to walk on their toes. The inability to achieve a normal heel toe gait pattern. BALANCE: CMT also affects our sensory nerves including the ones that tell us where we are in space, proprioception. Patients learn strategies to compensate for proprioceptive loss, such as avoiding stopping in open spaces and staying in touch with stationary objects, walls, furniture, even spouses. These deformities do not develop overnight. They are slowly progressive in nature and follow a predictable pattern. Because we now understand this progression, we can design braces to counteract these deforming forces in the early stages. Beginning with Claw toes patients then develop classic high arches for 80 % of you and low arches for 20% of you. Restore normal pelvic motion with confidence in walking as each step becomes predictable and consistent. In a nut shell, AFOs can help you walk faster with more confidence walking with their eyes up off the ground in front of them. Provide you with more stability and improved balance. Patients are able to stand in open space and look up at the ceiling over their heads. 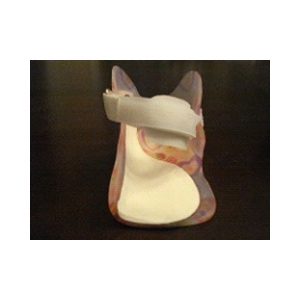 We can help you find the right AFO brace-for-Foot-drop that meets your unique needs. ©2018 Cornell Orthotics and Prosthetics - Do not copy. All rights reserved.